Wow! That’s a long title. So here’s the final build of what’s required to build a USB-OTG or OTG-USB cable. 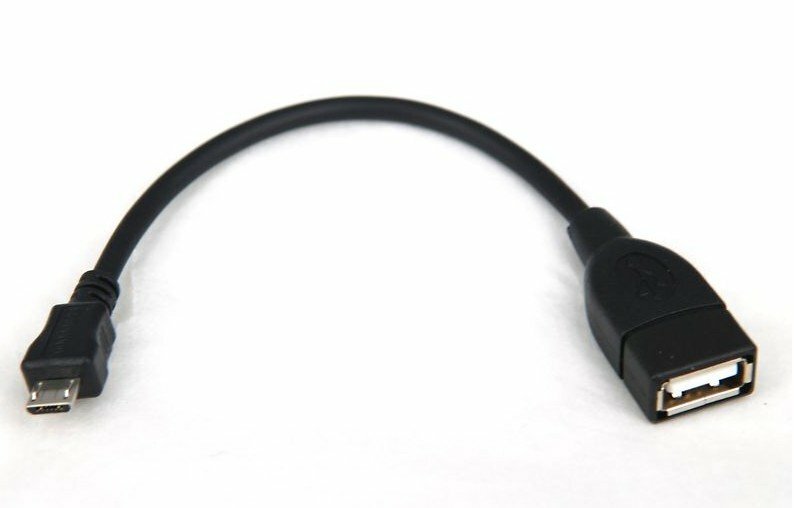 Basically a little cable that let’s you use a USB keyboard, mouse, thumb drive, etc. with your phone or to plug USB devices into a Chromecast. This means ethernet connection to your Chromecast. To make the cable is really easy. 1. Cut the normal Male USB end off both cables, we don’t need that. 2. 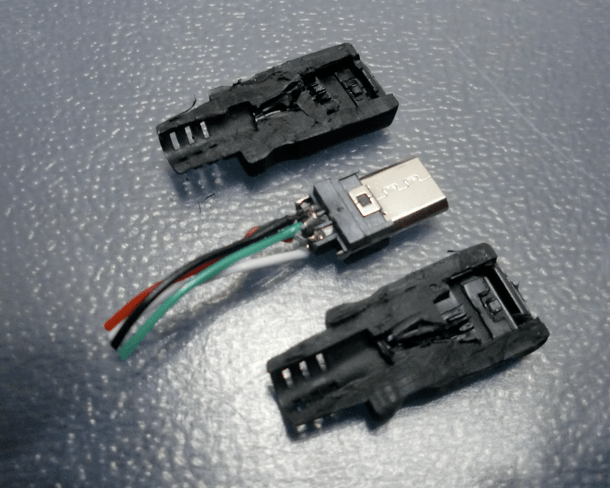 You need to cut open the Micro USB end of the Android charging cable. It has to be right at the plug, as the pin we’re trying to get to, doesn’t continue down the length of the cable. It’s actually disconnected. You can see in this one, if you click on the thumbnail, just above the white cable is the extra pin we want to get at. It’s not connected at the moment. 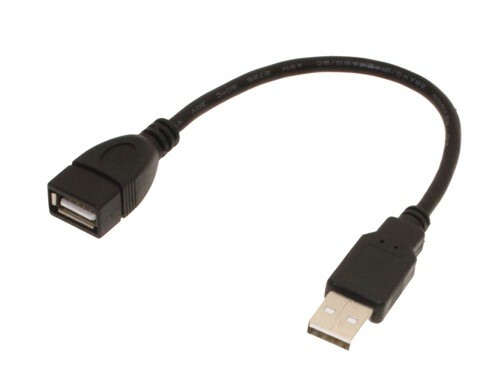 The fact that this is “floating” means that when you connect something to this cable, it will just behave like a normal USB cable. It can charge your device or whatever, but your phone etc. doesn’t know that it has to look for something on the end and load up some drivers etc. for it. 3. Now solder the extra pin we found from step 2 to the ground pin. That means the black cable. Trying o create a jumper from one pin to the other can be difficult when working with small components, so I opted for soldering a small wire to the spare pin, then linking it to the black wire further down. 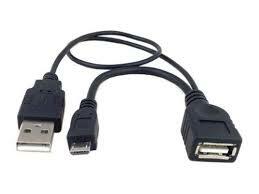 This is the simplest cable you can make like this and will allow you to host just 1 device on your phone. If you plug a usb hub into this, you might be able to do 2 or 3 devices (like a keyboard, mouse, and usb flash drive) but your options will be pretty limited unless you get some extra power into the circuit. 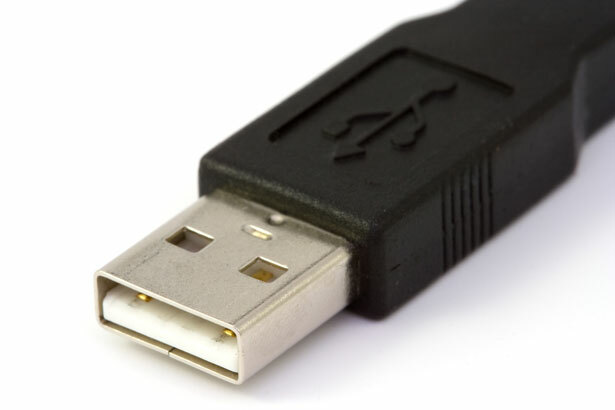 You can do this by using a powered USB hub, or soldering another normal Male USB connector. 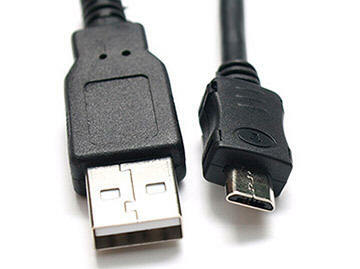 The extra Male USB cable in this case can be plugged into a usb to wall socket adaptor. You just solder in the red and black wires to the other red and black wires in this case. No need to connect the data lines as you won’t be using them. This last bit is required if you want to use your cable to connect your Chromecast over ethernet. The final part required is simply a USB to ethernet adaptor. Most types will work fine, but here’s a post with a list of ones known to work with USB-OTG. When you plug it all together with an ethernet cable and Chromecast, just be sure to plug the micro USB into the Chromecast last and it’ll work just fine. You’ll see the extra Chromecast interface and MAC address show up on your router. As you can see above, I own 2 Chromecasts and one of them now has the second interface showing up.